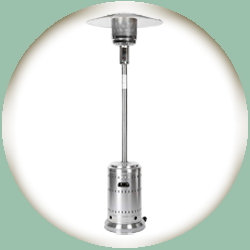 Keep your area warm with this portable propane heater. Will heat up to an 18' radius on high. Propane is not included.